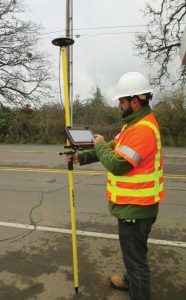 ODOT inspectors use the Windows 7-compatible DT Research model DT391GS tablet equipped with a GNSS antenna and MicroSurvey FieldGenius to stake out and check precise layout points as part of regular inspection duties. 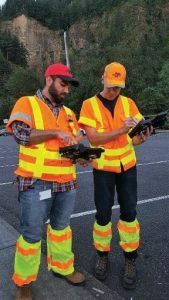 Using the new tablets, inspectors no longer need to call in ODOT’s stretched-thin surveyors to perform accuracy checks on layout points. ODOT inspectors needed a way to do real-time checks on earthmoving and formwork so they could ensure quality and prevent costly errors, and they had to be able to do these checks without calling in a survey crew. The solution turned out to be simple, at least in concept: put accurate, GNSS-enabled survey capacities in the hands of inspectors. They then would be using the same technology that powers stakeless, machine-controlled projects. But easier said than done, of course. 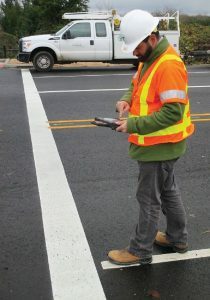 ODOT embarked on a multi-month evaluation process to identify a tablet-based solution that would make surveying expertise available to inspectors, while also working well with their existing technology “ecosystem” … and the tablet interface had to be intuitive enough for inspectors to quickly learn how to reliably do the necessary work without months of training. The equipment and software solution needed was eventually found, worked well for inspectors, and eventually proved to be so useful that it’s now being used by ODOT biologists and archaeologists, the pavement and environmental groups, and “anyone who needs to collect precise positional data,” adds Pucci. For hardware, ODOT selected the DT Research model DT391GS, an off-the-shelf item with an embedded Hemisphere GNSS module and antenna. It’s a ruggedized, survey-grade tablet with a 9-inch touchscreen that includes a 5-megapixel camera, cellular SIM card slot, Wi-Fi, Bluetooth, hot-swappable batteries, USB ports and an external GNSS antenna cable connection. Crucially, the DT391GS runs Windows 7 as an operating system. 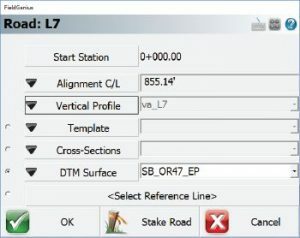 The new RTK-enabled tablets are compatible with the XML files that are standard at ODOT, making grade and position checks easy and routine. The new DT391GS tablets also support typical inspection tasks with a 5-megapixel camera. MicroSurvey FieldGenius met these criteria and was an existing solution with a good track record that immediately provided the ability to “provide real-time station and offset, elevation, and cut/fill to a surface model.” In addition, FieldGenius could be used for point checking and the collection of survey data, and it was designed for easy operation. When doing survey work to check contractor work and models, inspectors use FieldGenius, the tablet and ORGN to achieve real-time accuracies of +/-0.04 feet horizontally and +/- 0.08 feet vertically. MicroSurvey’s FieldGenius presents relevant data based on formats familiar to ODOT. LandXML compatibility also was important. “For us, directly reading XML files is a big benefit,” Pucci explains. “We’re standardized on XML, and we’ve been sending XML files to contractors for years. 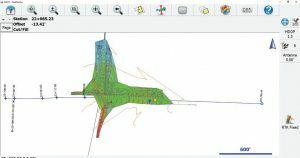 We didn’t want to ask our designers to learn or use a new file format, and we didn’t want our inspectors to have to load MicroStation or some other ‘middleman’ on the tablets—all they need is FieldGenius, and they can work with the original design models directly.” Even more importantly, FieldGenius didn’t need extensive customization to work within ODOT’s inspection scheme. “We were able to use FieldGenius right out of the box, just as it’s sold to anyone,” notes Pucci. Interoperability with XML files makes it easy for ODOT inspectors to locate and check critical points on large projects via FieldGenius. After considering several other possibilities, ODOT felt it had found the optimal combination of hardware and software for its needs. 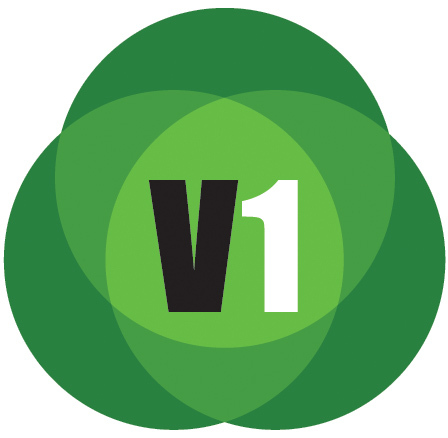 However, big agencies move deliberately, and a substantial pilot project was needed before a general rollout of new technology. This pilot test was conducted in fall 2016; after the pilot was completed, the tablets were rolled out to all 15 ODOT offices. 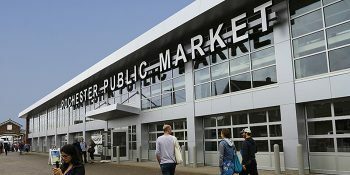 Currently, about 50 are being used by inspectors, paving crews and ODOT biologists, and Pucci expects to provide more for archaeologists, environmental engineers, and other staff who collect precise positional data. Traditional survey crews also are requesting the new solution. Angus W. Stocking, L.S., is a licensed land surveyor with 20 years of experience on job sites, who now prepares information marketing content for the infrastructure industry. 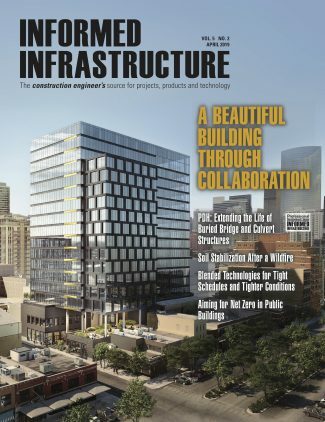 Articles have appeared in most major industry trade journals, including CE News, The American Surveyor, Public Works, Roads & Bridges, US Water News, and several dozen more.